Football/Soccer Session (Moderate): GC:BPO-BP Winning the ball in the middle 3rd and playing forward pass beyond defenders. What:When we win posession in Middle 3rd we are unable to play forward quickly to create goal scoring opportunities. Player A passes to Player B F acts as passive defender. 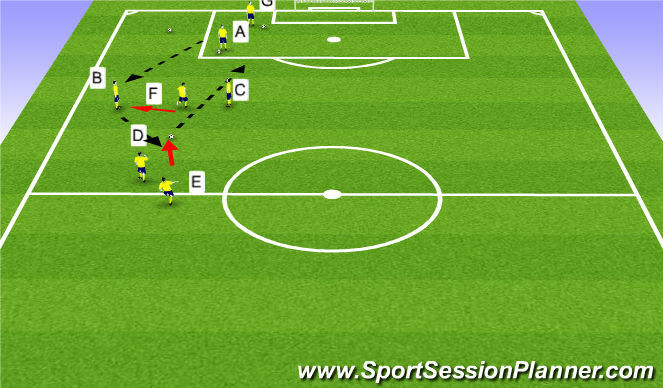 player C Passes to D where E steps in front of D to win the ball back and passes to F who make forward run. Players are to perform dynamic stretches. 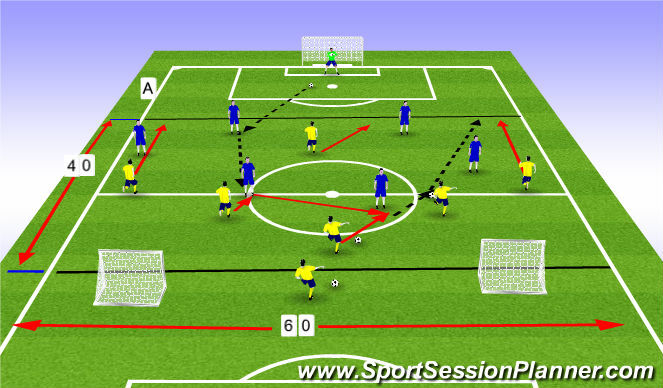 Players in posession (BP) are to pass the ball in Grid B with the view of having controlled posession in Grid A by making forward runs. Bounces on the outside of the grid can be used by team in BP. If successful play in opposite direction. 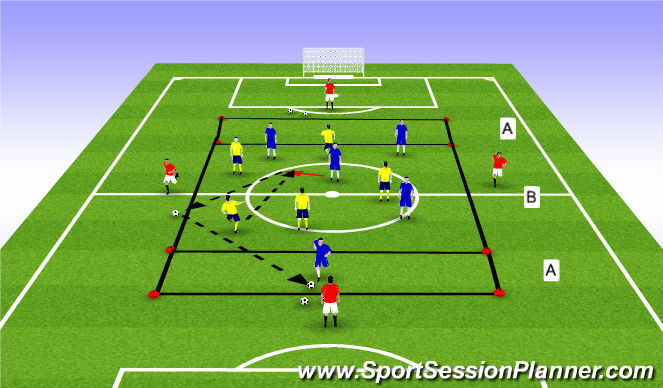 Players in BPO are to try and win the ball back as quicly as possible and tranisition into BP by playing Forward pass into Grid A with controlled possession. Rotate Bounces every 5 minutes. 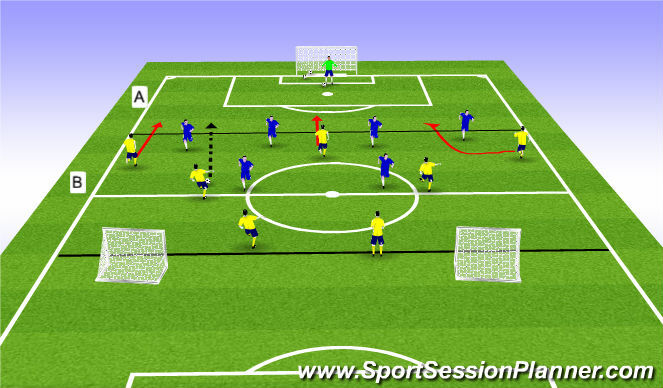 Team Task: Once you have controlled possession play a forward pass to a team mate. In BP can you play a forward pass to a team mate making a forward run. If Unable pass to a team mate who can. In BPO close the ball if you are the closest defender to deny opposition time and space. In BPO make the ground as small as possible. Keep Defence compact. If you have the ball play a forward pass behind defenders. if unable pass to a team mate who can. Once ball enters grid A only one Blue defender can enter while unlimited Yellow attackers can enter to attempt to score. GK / Blue Team Starts play. Team Task:Yellow team Win the ball back in the middle 3rd and play a forward pass behind defenders to score in big goals. 9,7,11. In BPO apply pressure to the ball If you are the closest defender. In BP make a forward run beyond defenders. In BP Support 6,8,10 if they need you. In BP Play a forward pass beyond defenders. If unable pass to a teammate who can. When in BPO make the ground as small as possible by moving toward the ball and blocking passing lanes. 6,8,10 when you win the ball look to play a forward pass into space Behind defenders if not pass to a team mate who can. 9,7,11, When 6,8,10 have controlled possession and have their head up make a forward run. If their head is down and they are under pressure be in a position to receive the ball. Immediatley transition from BPO to BP. Blue team score in either small goals. Play starts with GK. 1x Blue can enter into Grid A when is BP. Unlimited players can enter grid A When in BPO. Offside applies to Yellow Team. 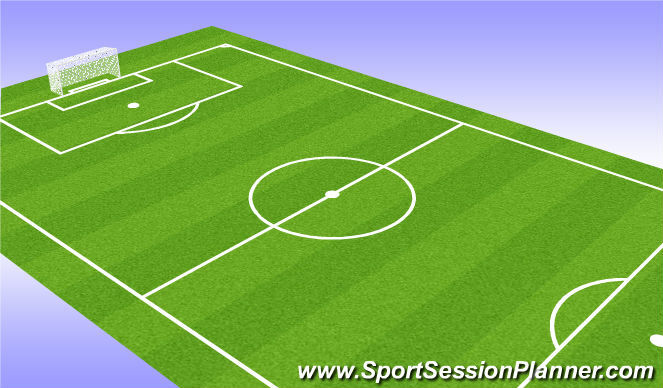 Once ball is played into Grid A unlimited players can enter area to score. Teams swap ends after ten minutes.